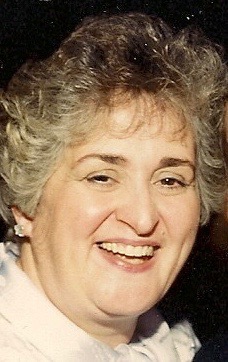 Obituary for Rita M. (Mazzocco) Cina | Giunta-Bertucci Funeral Home Inc.
Rita M. Cina, 83, of Las Cruces, N.M., formerly of Lower Burrell, died Oct. 5, 2018, at Good Samaritan Village, Las Cruces. She was born Sept. 9, 1935, in Republic, daughter of the late Clemente and Rose (Magazine) Mazzocco. In addition to her parents, she was preceded in death by her husband, Robert S. Cina, who died in 2008; five brothers; and two sisters. She was a member of Mt. St. Peter Roman Catholic Church, New Kensington, the Catholic Business and Professional Women, New Kensington, and also she was a member of AARP. Survivors include a son, Dr. Robert G. (Barbra) Cina, DMD; daughters, Jacqueline (Thomas) Hooks, of Butler, and Renee (Bernadette Acosta) Cina Acosta, of New Mexico; six grandchildren, Robert, Alexandra, Nathan, Gaeten, Russell and Phillip; four great-grandchildren; and nieces and nephews. A funeral liturgy outside Mass will take place at 1 p.m. Wednesday at GIUNTA-BERTUCCI FUNERAL HOME INC., 1509 Fifth Ave., Arnold, JohnPaul Bertucci, owner/supervisor. Burial will be in Greenwood Memorial Park Mausoleum, Lower Burrell. To leave an online condolence, visit www.giunta-bertucci.com.